This entry was posted on Monday, May 16, 2011 and is filed under Grandparenting, Non Fiction, Traditional Publishing Stories . You can leave a response and follow any responses to this entry through the Subscribe to: Post Comments (Atom) . Thank you for hosting, me, Lynette. I'm pleased to give away one of my books. It makes a great gift for Grandparent's Day in September, a grandmother at a baby shower, or for yourself. I've been told anyone with children can benefit from it. I look forward to your comments about grandparents or grandparenting. 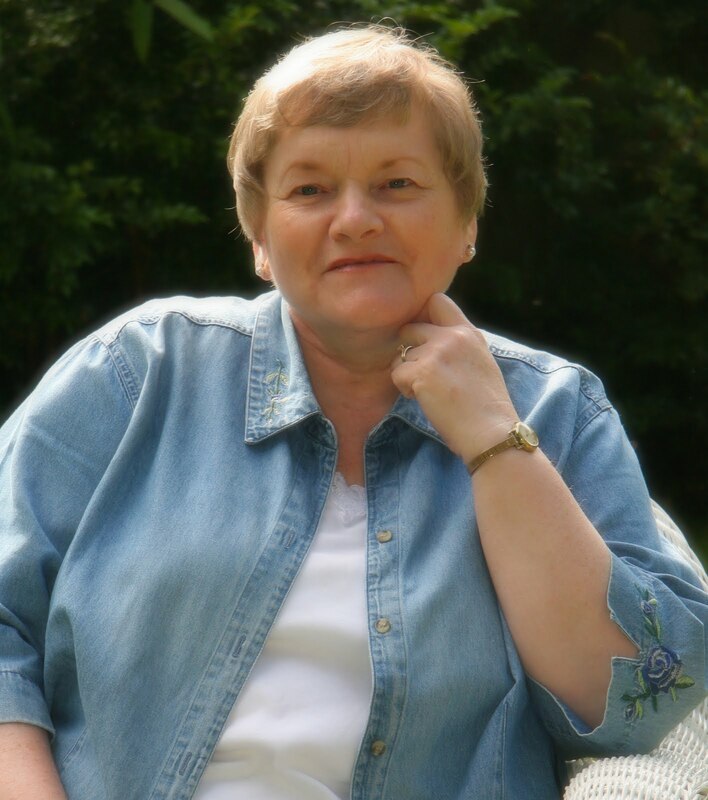 Lydia Harris offers fun ideas about how to nuture strong relationships with your grandchildren while building lasting memories. She also shows readers how to pray for their granchildren and to share with them your faith in Jesus.Preparing My Heart for Grandparenting has a spot on my bookshelf. Thanks Lydia, for showing me how to be a better grandparent. Thanks, Kathleen. We just had a fun weekend of making memories with four of our grandkids. It's precious to invest in their lives and cheer them on as members of their FAN club. Thanks for sharing your grandparenting stories with me while I wrote the book. Thanks for dropping by to visit and share your story today, Lydia. I know your book has touched many hearts. My Grandma brought stability and love to my sisters and I after our parents went through a divorce. Her large garden which we learned to weed quite well was such a joy to work in. Her love through music, dance, homemade lefse and green Kool-Aid in her favorite white pitcher were just a few ways she brought calm in the midst of a storm. Though I'm not a grandmother yet, I've read Lydia's book in anticipation of becoming one. I especially love her heartwarming anecdotes and stories about grandparenting. Her writing is honest, inspiring, and full of wisdom. I'm looking forward to Lydia's next book! Gail, Becky, and Nancy, thanks for dropping in. Thanks for your comments. I love hearing how grandparents have impacted lives. My book affirms grandparents in their important role. And I pray it helps others become intentional grandparents who share their faith. Although my grandparents lived on another continent and I never met them, I saw what a godly influence my parents had on their grandchildren, including my children. Grandparenting is a privilege, and I'm grateful to have grandchildren to love. WE grew up knowing our grandparents were special! We didn't get to see them often but I'm pretty sure they prayed for each of us. One set of grandparents were missionaries to the Navajo's for a time and I often wish I could sit and visit with them about their experiences. Grampa Glen was a gentle, humble man. On the other side my grandfather died early so my Grandma raised 7 children on her own - she was expecting number 7 when he died. At her funeral someone said they never heard her say anything bad about anyone! That comment has made me evaluate my speech on several occasions! What a great example! Your grandparents left you a wonderful heritage. And their legacy continues through your life. One of my grandmas had a gift for hospitality of the heart, and her warm welcome to everyone served as an example to all of her grandchildren. Holly, I like your idea of grandparenting being graduate school for moms. Yes, we continue to learn. I'm so glad your grandma modeled hospitality. What a gift to you and all her grandchildren! My book includes a section on hospitality titled, "Welcome to Grandma's House." Our grandkids will remember our welcoming hearts and homes long after we're in heaven. Thanks to all for stopping by (Gail, Becky, Nancy, Dawn, Holly, Kathleen, Dawn, and Lynette). We won't hold the drawing until May 23, so please encourage others to stop by and enter to win a copy of "Preparing My Heart for Grandparenting." My grandmother, or tutu as I called her, had a profound impact on my life. She raised me alongside my mother and cared for my sisters and me when my father chose to step out of the picture. Tutu taught me that I could do anything I set my mind to. She also blessed me with incredible recipes for German cheesecake and apple pie, along with a taste for potato pancakes and red cabbage. Her humor, confidence and wisdom live on in my memory, as the Lord took her home three years ago. Her fight with emphysema was a long and brutal battle, but she clung to her hope in the Lord and exemplified rich faith and perseverance to our family. Tutu, thank you for being an amazing teacher, a "grand" mom and a constant presence in my life during some of the roughest times--for you and for me. I can think of no one better than Lydia to write a book on being a grandparent, and I so look forward to reading it. My grandfathers died when I was quite young, but I was blessed by two godly grandmothers. Even though we lived in different states, they influenced my life by teaching me Psalm 23 and the joy of the Lord. They both loved to sing the old hymns, and I still do today. My first grandchild, Michelle, was born last July, and how I love that precious baby! I pray to be a sweet influence for Jesus in her life. And I plan on having lots of fun with her--like making cookies and having tea parties! What precious memories you've shared. Thank you. It brings tears to my eyes to realize what an impact grandparents have on future generations. Our lives spill over on people we won't even meet on earth. May those who come behind us find us faithful. Today my husband and I are going to hear a famous drummer: our 12-year-old grandson. He may not realize it yet, but we're some of his biggest fans. Thank you, God, for GRANDchildren. And thank you for grandparents that have impacted us. When I was 7 my parents moved our family to Canada and far away from their families. While my dad's parents made no effort to build relationships with their grandkids (and so we never really knew them), my mom's parents, despite their tight budget, made every effort to stay connected to us. They never failed to send us something in the mail for Christmas, often homemade preserves and, just for me, black olives, which were very expensive back in the day. Even though we only saw them twice in 10 years we knew they adored us and we adored them in return. My grandpa would call and talk to us every month and we each had 5 minutes to talk (budget!!) but I looked forward to asking for his advice or telling him the latest drama in my life because he always listened carefully and never preached, nagged or made me feel silly--and he always said just the right thing. Now that I have children I am blessed with a mother-in-law who does the same things for her grandchildren but I have an added bonus--she always tells me what a great job we are doing and points out the great qualities they have. Most importantly, she delights in my children (who are her 12th and 13th grandchildren) and they literally bask in her love when she calls or we visit. What a gift I've been given, to not only have experienced perfect grandparenting as a child but to see my children having the same experience. I'm looking forward to getting this Bible study and passing it on to my friends who are just starting the grandparenting journey as well as to my own children's grandparents. Thank you for listening to God's call and for obeying. What an encouraging and and inspiring post! You are indeed twice blessed--with wonderful grandparents and now with wonderful grandparents for your kids. Thanks for sharing my book with others. I pray it will give grandparents tools to pray for their grandkids, model a godly life, and pass on a strong legacy of faith. We have a winner! Thanks to everyone for dropping by and sharing your wonderful grandparent's stories. The winner of Lydia's book is Judy! Congrats, Judy. We'll be contacting you to get you your free copy of the book! Thanks to all of you who stopped by and left comments. Congratulations to our winner, Judy in Quincy, California! I met Judy at the Mount Hermon Christian Writers' Conference years ago. If you're a writer, you know conferences are a great place to make friends. 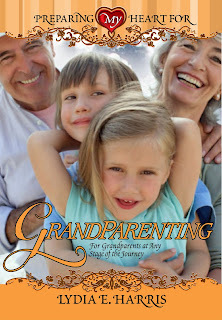 Lord, use this grandparenting book to bless Judy and other grandparents in exceeding abundant ways. In Jesus' name. Amen. What a powerful story! You're an inspiration to the rest of us to keep on keeping on in the face of overwhelming odds. Your book is beautiful, and I hope it reaches out to touch many hearts. So glad you sent me a note after finding my "Sweet Tea" blog, as that has allowed me to find your blog. I signed on to FOLLOW, hope you'll have another Post soon. I love being a grandmother (YaYa) to 3 beautiful granddolls. Guess what the granddolls call their Granddad" YoYo. You are such an amazing woman, and I am greatly blessed to know you in person. Thanks for your wonderful story!